The exhibition is organized by The Metropolitan Museum of Art, New York, and The National Gallery, London. The exhibition follows the chronology of Cole's life, beginning with his origins in recently industrialized northern England, his arrival in the United States in 1818, and his embrace of the American wilderness as a novel subject for landscape art of the New World. Early works by Cole will reveal his prodigious talent. After establishing himself as the premier landscape painter of the young United States, he traveled back to Europe. 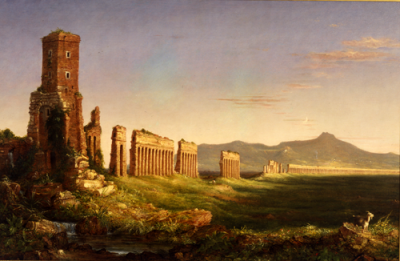 The next section will explore in depth Cole's return to England in 1829–31 and his travels in Italy in 1831–32, revealing the development of his artistic processes. He embraced the on-site landscape oil study and adopted elements of the European landscape tradition reaching back to Claude Lorrain. He learned from contemporary painters in England, including Turner, Constable, and John Martin, and furthered his studies in landscape and figure painting in Italy. By exploring this formative period in Cole's life, the exhibition will offer a significant revision of existing accounts of his work, which have, until now, emphasized the American aspects of his formation and identity. The exhibition will also provide new interpretations of Cole's work within the expanded contexts of the history of the British Empire, the rise of the United States, the Industrial Revolution and the American wilderness, and Romantic theories of history. Upon his return to America, Cole applied the lessons he had learned abroad to create the five-part series The Course of Empire (1834–36). These works reveal a definition of the new American Sublime that comes to its fullest expression in The Oxbow (1836). Finally, the exhibition concludes with an examination of Cole's legacy in the works of the next generation of American landscape painters whom Cole personally mentored, notably Asher B. Durand and Frederic E. Church. The exhibition includes 58 works, the majority on loan from North American collections. 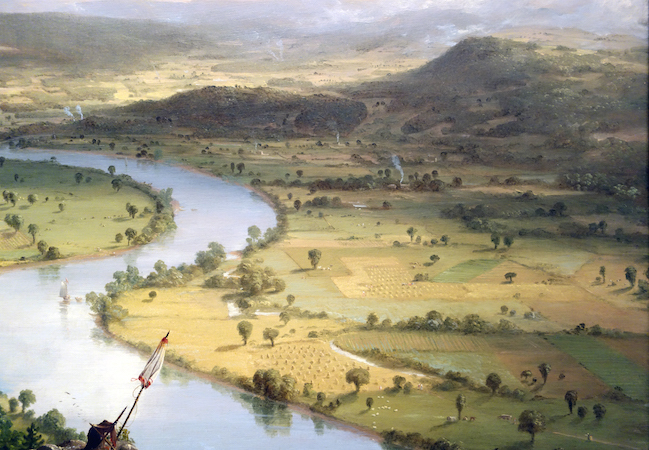 It includes Cole’s iconic painting cycle, 'The Course of Empire' (1834–6, New-York Historical Society) and the masterpiece that secured his career and reputation – and which has never been seen in the UK before - 'View from Mount Holyoke, Northampton, Massachusetts, after a Thunderstorm - The Oxbow' (1836, Metropolitan Museum of Art, New York). Cole’s paintings are shown alongside works by British artists with whom he was personally acquainted, as well as those who influenced him most, including Joseph Mallord William Turner and John Constable. 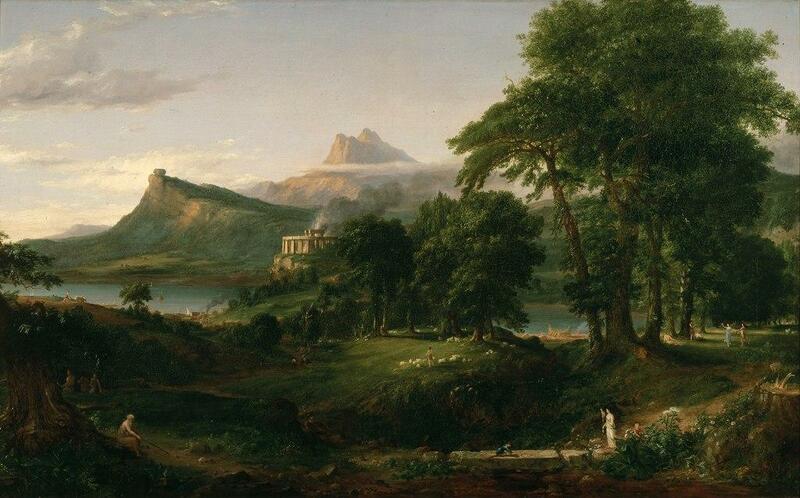 At the age of 28, Thomas Cole and his American patron, Luman Reed - a successful businessman and one of the earliest collectors of European and American art in the US - agreed it was time for him to take a study trip to Europe, beginning with London. Just a decade after leaving England to pursue a better life, he would return as a professional artist seeking to refine his technique and broaden his horizons though the great collections, and by associating with the most celebrated artists working at the time. At the National Gallery, which he visited, Cole was particularly enraptured with the work of Claude, especially Seaport with the Embarkation with Saint Ursula, which is included in this exhibition. 'Hadleigh Castle, The Mouth of the Thames - Morning after a Stormy Night' (1829, Yale Center for British Art, New Haven) by Constable, with whom he developed a friendship and exchanged letters and sketches. An admirer of Turner, Cole visited his studio, but was somewhat confounded by the image the artist presented of himself. A bit rough around the edges and artistically experimental, Turner did not resemble the image Cole had of an artist of international repute. and 'Aqueduct near Rome' (1832, Mildred Lane Kemper Art Museum, Washington). The landscape, antiquity, and likely the camaraderie he found, were a rich source of inspiration for the rest of Cole’s life. and Durand’s 'Kindred Spirits' (1849, Crystal Bridges Museum of American Art) both specifically reference Cole’s passing and are seen in the exhibition. 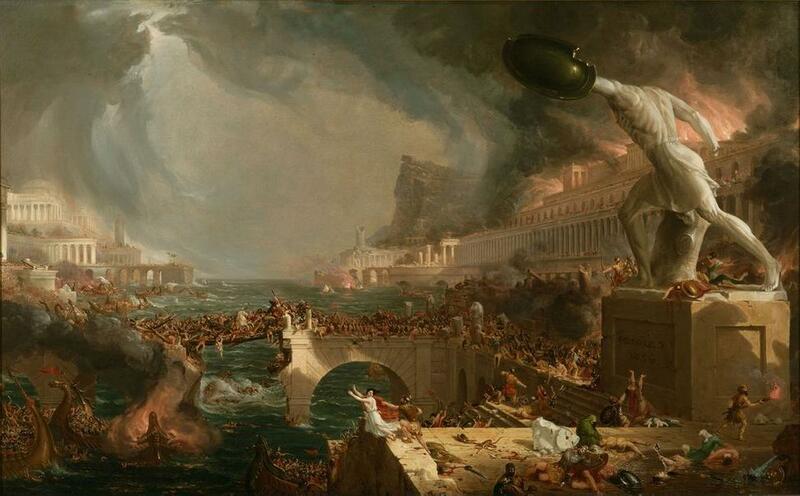 A 2018 exhibition will establish Thomas Cole as a major artist of the 19th century within a global context. The artist's most iconic works, including The Oxbow (1836) and his five-part series The Course of Empire (1834–36) will be presented for the first time as a direct outcome of his transatlantic career. Consummate works by J.M.W. Turner and John Constable, among others, will reveal Cole's engagement with European art, while masterworks by Asher B. Durand and Frederic E. Church will demonstrate Cole's extraordinary legacy in establishing a school of 19th-century landscape art in America. 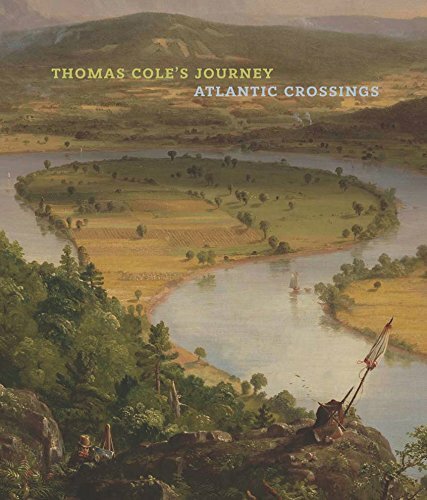 Thomas Cole's Journey: Atlantic Crossings opens at the Metropolitan Museum of Art on January 30, 2018, and travels to the National Gallery London in June 2018. With his work seldom seen outside the USA, this exhibition establishes British-born Cole (1801–1848) as a major global figure in 19th-century landscape art. 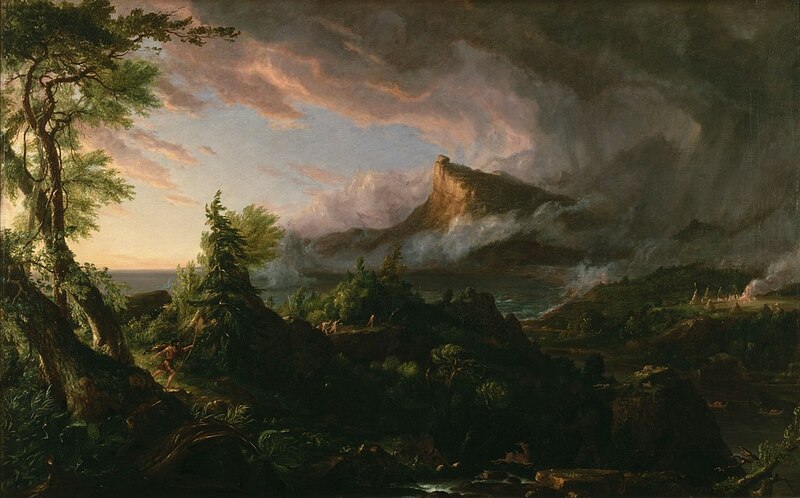 Thomas Cole's Journey is curated by Elizabeth Kornhauser, Alice Pratt Brown Curator of American Paintings and Sculpture, Metropolitan Museum of Art, Tim Barringer, Paul Mellon Professor in the History of Art, Yale University, and Christopher Riopelle, Curator of Post 1800 Paintings, National Gallery, London. Sotheby’s American Art on 13 November 2017 . Matisse – Bonnard. ‘Long Live Painting!